This is a sponsored post on behalf of Disney Book Group. A fun tradition we have every new school year is for each of our kids to pick out a new book to add to our library. 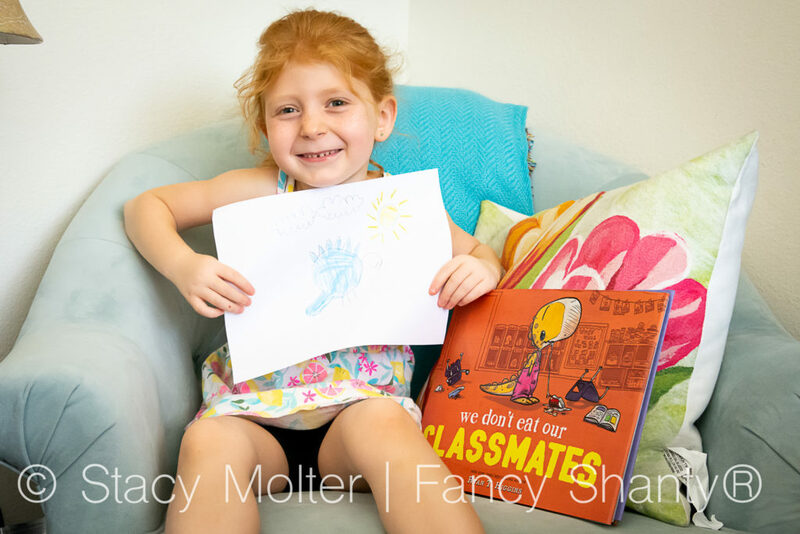 For our older children, these books usually become the first book they do a book report on, while for our younger children these books focus on helping them become better readers and get excited about the upcoming year. 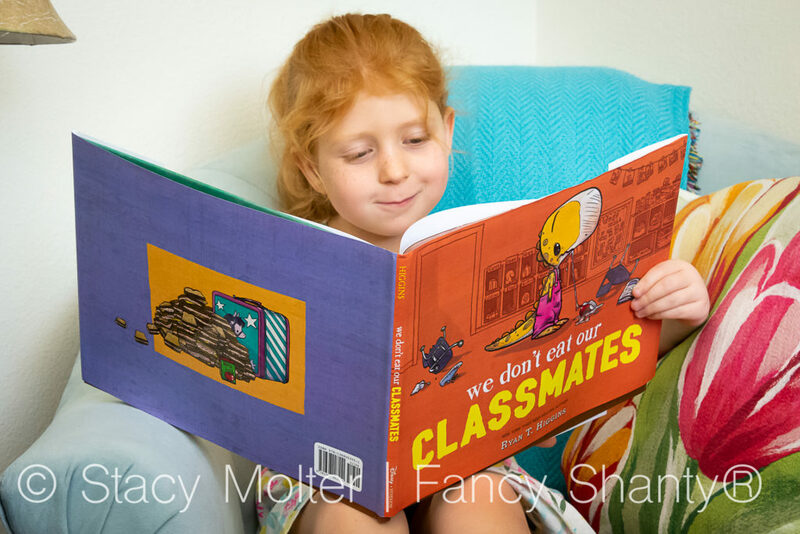 This year though, Gracie was extremely excited to receive We Don't Eat Our Classmates by Ryan T. Higgins thanks to our friends at Disney Book Group, a book that allows readers to explore school anxiety with laugh-out-loud humor. Like many students, Penelope Rex was nervous about the first day of school, meeting her classmates, and making new friends. Once the big day came, she was surprised to learn her classmates were humans! Determined to make new friends, Penelope tries her best to be kind but all her classmates were afraid of her. Except for Walter, who teaches her a lesson she will never forget. What we love most about this book is the hilarious approach author Ryan T. Higgins utilizes to communicate many of the common worries children have on the first day of school. Not only does We Don't Eat Our Classmates tackle these fears on a level children can easily relate with, well, except for eating her classmates, the adorable story shows children they're not alone in their fears. And while the story focuses on the first day of school, the message behind this tale can easily be adapted to other situations children encounter in life, whether kids are joining a new sports team or if you have a picky eater trying a new food. 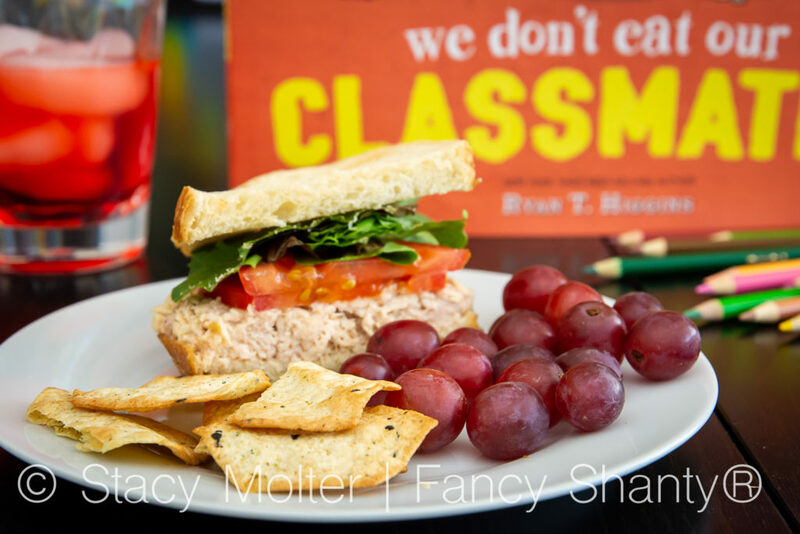 Since Gracie loves this story so much, I thought this would be the perfect opportunity for her to try Penelope's favorite lunch meal, a tuna sandwich. Tuna has been one protein we've been trying to introduce to Gracie's diet for some time now, but unlike Penelope who couldn't help but eat her classmates, Gracie's always shied away from giving this delicious snack a try. 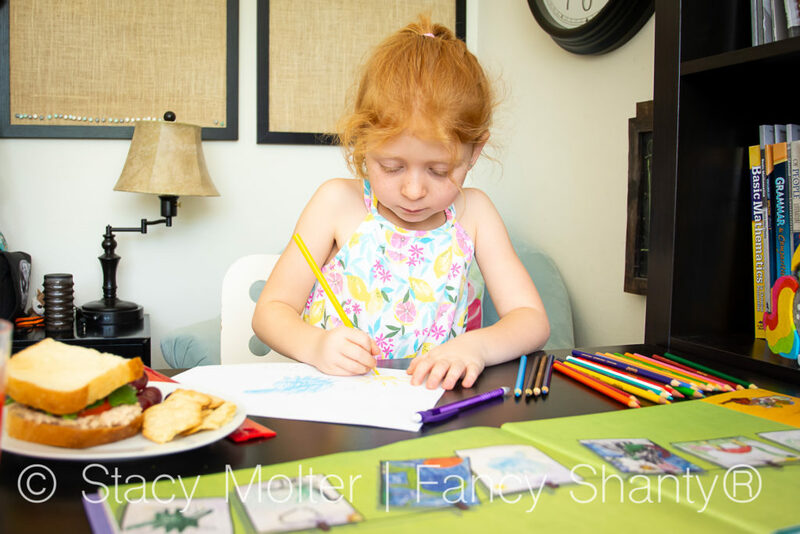 But as you can see, Gracie decided she would rather spend her lunch drawing Penelope a new T. rex friend, Tyrannosaury Jr. Much like making new friends at school can be hard, trying new foods can be even harder. While Gracie didn't gobble up her lunch as I had hoped, she did enjoy creating a new dino friend for Penelope. A friend that will hang on our artboard throughout the school year. Ryan T. Higgins is the author and illustrator of the New York Times best-selling Mother Bruce, which received the E. B. White Read-Aloud Award and the Ezra Jack Keats New Illustrator Honor; Hotel Bruce; BE QUIET! ; and Bruce's Big Move. He lives in Maine with his wife and kids and lots of pets.